Went on holiday at Sussex coast a number of times with my parents and a big group of around 20 of us (and also went to Devon Coast) . 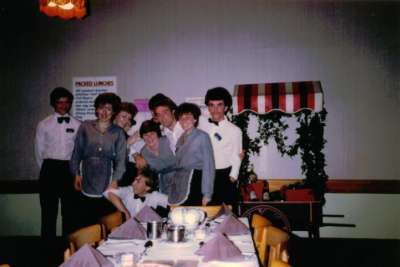 In 1983 Keith Urry was the ents manager at Sussex Coast. He did everything from the cabaret to the swimming gala. I won the talent competition that week and a bluecoat suggested that I should audition to become a bluecoat. 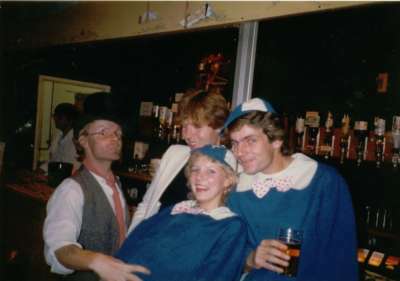 In November 1983 I had an audition weekend at Sussex Coast with Steve Chappel ents manager and became a bluecoat for the 1984 season. 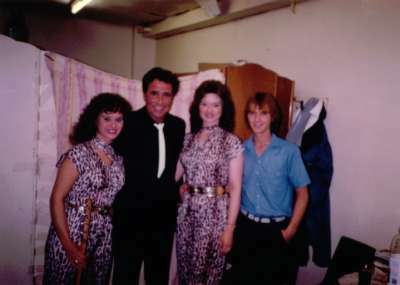 Trevor Quinn Thomas was ents manager with Anne Newman, Sue Cardish and myself as bluecoats. Francis Lee was general manager, then Mike...can't remember his name. Gordon was bars manager. I remember a fancy dress competition with a coffin saying "rest in peace Sussex Coast" when news came through it was closing . We had a 6 week summer season with families, the rest were Saga old age pensioner weeks. The old folks loved to complain. "The foods too hot, the music is to loud ,the pool is too cold, the music is too fast for a quickstep, my roof leaks........But when the guest left most had such a good time they would re book for next year! We also had a few handicapped weeks, there were fantastic. We had 400 guests in the fancy dress competition, with snow white and the 7 dwarves 6 times! I finished my season in November 1984 and went back for a couple of days over Christmas when Georgie Telford was Ents Manager. 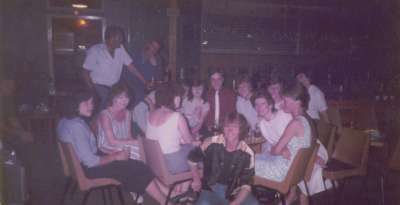 In 1985 it then became Club 18/30 for 2 years. 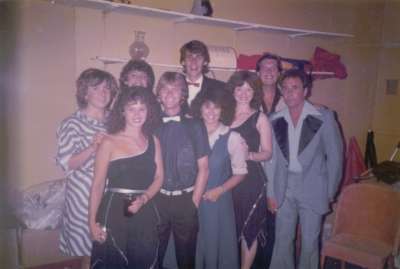 All the family bookings were transferred for the 1985 season to The Savoy Hotel in Bournemouth where I became ents manager and met my wife Sue who was auditioning to be a Bluecoat! 1985 and 1986 at the Savoy was really Sussex coast in disguise. All the same guest came and we had the same cabarets as well! In 1987 it reverted back to Sussex Coast, just with a better sound system in the ballroom and a smaller dance floor. I retuned as Ents manager and Sue worked in reception and the bar. 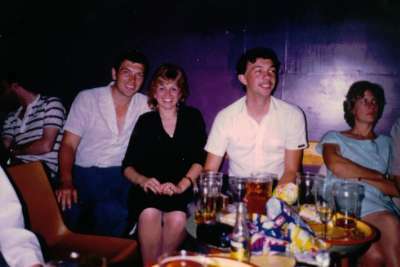 She had done one season as a Blucoat at Chesil Beach in Weymouth, but much as she wanted to be a Bluecoat at Sussex Coast I did not let her......I was worried she would get chatted up and leave me!.....She never lets me forget this..
Glynis Brailsford was the general manager. We were there for the 1987 storm. The roofs came off the old aircraft hangers and ended up in the pool. We were full of old aged pensioners, but nobody got hurt. All the coaches had smashed windows, and we performed in the ballroom with candles for lights and a piano in the middle of the dance floor. Fantastic memories of a difficult time. We did not close the camp and took new guests the following week. Cabarets included Bobby Reid, local teacher with fantastic voice. 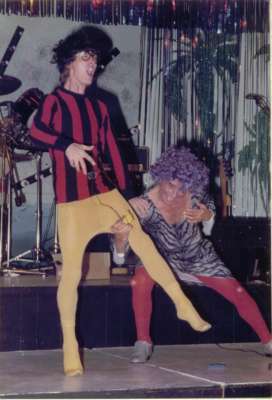 1984 was the most exciting time in my life, just aged 17, acting the fool and singing every night. I loved every minute. I am not sure really what happened after that apart from it is now a housing estate. Thank you Sussex Coast for all the memories. * You are not the only one to drive up Main Drive and remember those great times at Sussex Coast Country Club! I've done it once or twice myself and I'm sure we are not the only ones!